As you will recall, the bird flu was big news when it peaked in 2006. Since then many countries have eliminated the strain, and have become virus free. However, there is now a mutant strain, H5N1 that is not covered by existing vaccines. They’ve had 800 reported cases so far, in China and Vietnam. It is being spread by wild bird migrations. It is mostly spread among birds, but can also cause human illness. For an updated list of countries, check out World Health Organisation for Animal Health website. The U.S. is not on the list, but with international travel, one never knows. Wash hands frequently and cultivate good hand washing techniques; train children regarding hand-washing as well. Avoid touching your face if unable to wash hands. If you hear of any outbreaks, avoid crowds. Check your First Aid kit and restock if supplies are low. 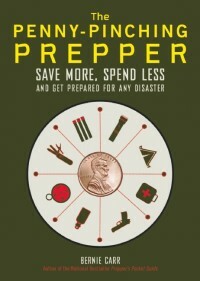 I know many preppers (myself included) utilize chickens as part of a long-term substainability plan. I raise chickens for eggs, slaughtering an occasional rooster for meat, but raising rabbits and goats for primary meat. In the case of a bird flu type pandemic, should I rid myself of the chcikens to lessen the chances of contracting a potentially lethal case of the flu? Not yet. Fortunately at this time this strain of the bird flu has not reached our shores, it has been spreading in Asia. Mainly just keep an eye on the news for any signs of it in the U.S., then you can decide. Last time around I spent a small fortune on Tami flu. Could only get enough for the two kids so my wife and I figured we’d just fort up at the house and if we got it, we got it. Still have the Tami flu around here somewhere. The best part of the story is that I went to the family doctor for a prescription, and he pooh poohed the idea and ridiculed me, told me we didn’t need it. As I was leaving the receptionist told me had already bought enough for himself and his family. I got a new doctor. ATH, good for you for getting your kids some Tamiflu AND for changing doctors. Tamiflu is good to have on hand, we’d do the exact same thing you did. I work for a major international bank and we have a whole team dedicated to planning our response to a pandemic. We literally get two or three message a month that track current outbreaks, cover contingency plans, and lists out corporate “readiness”. We have expanded our remote access services (my group) to accommodate roughly 60% of our employees not being able to get into an office for extended periods. Our company has stockpiled Tamiflu and has assured us that it would be available for “high value” employees. Carl, Sounds like your employer is taking this seriously! I tend to pay attention when this happens, as companies do not spend resources needlessly. They must feel it’s a credible enough threat to build contingencies around it. Thanks for the comment!